Capture the essence of Argentinian tango on a private 3-hour trip to a ‘milonga’ (a tango social club) to watch locals dance to traditional music. 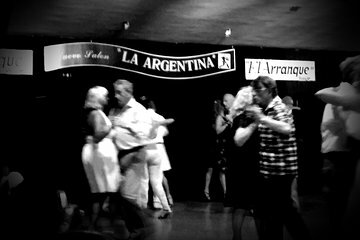 With your personal guide, you’ll head to an ambient milonga to experience the culture and customs of Buenos Aires residents, known as ‘porteños’. Lose yourself in live music and learn about the history and techniques of Argentinian tango while absorbing the electric atmosphere of the milonga. On this private tour, you’ll enjoy a cultural experience while receiving undivided attention from your guide.